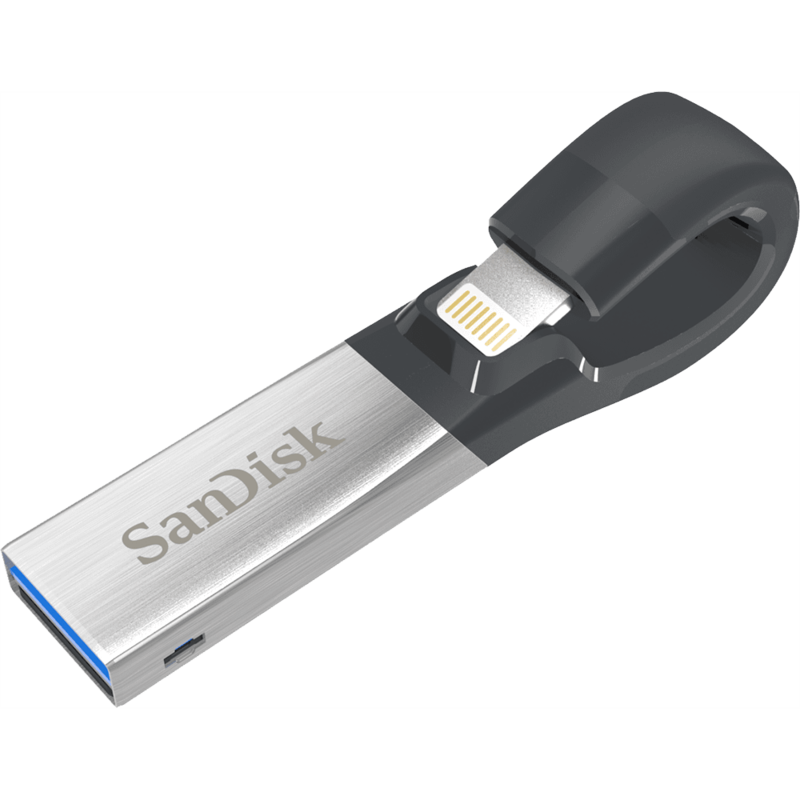 What Apple won’t give you, SanDisk will. While other smartphone brands include expandable memory ports on mobile devices, the iPhone remains limited to its internal memory… or maybe not. iXpand is a flash drive made specifically for use with iPhone. It has both a flexible Lightning connector and a USB 3.0 connector which plugs into your Mac or PC so you can easily move your stuff where you want it. The iXpand Flash Drive includes encryption software that allows you to password protect files, and it supports streaming of popular video formats directly from the drive. Managed using the iXpand mobile app, the drive resolves the memory limitations iPhone users tend to loathe, making it your newest problem-solving innovation. SanDisk iXpand Flash Drive. Image credit: SanDisk.